There is no way around the statement above. The Porsche Days Francorchamps is without any competition the largest and most beautiful Porsche Meeting in Belgium. The Porsche Club Francorchamps is responsible for the organisation. And we must admit, the organisation is terrific. The Porsche Days Francorchamps take place at the legendary Spa – Francorchamps track. That on it’s own justifies the visit. But that’s not the only reason you should have been there, together with over 6500 other Porsche fans. 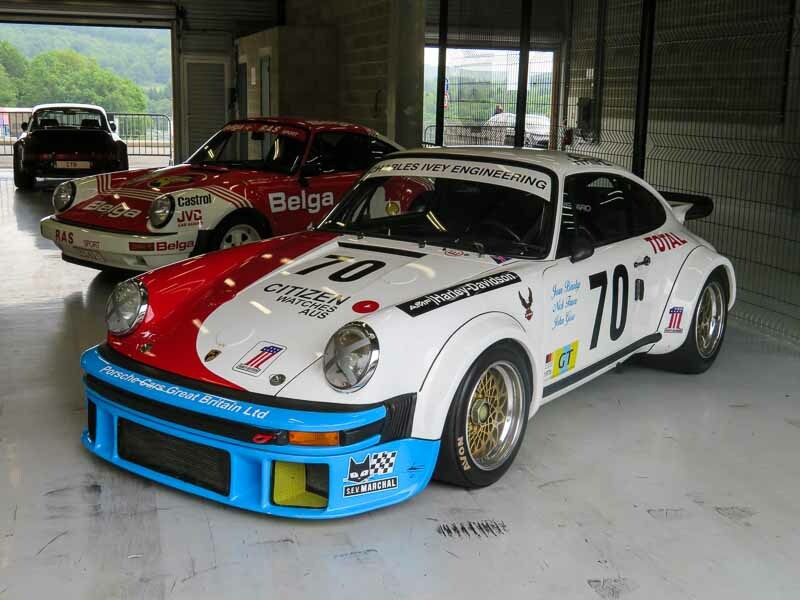 This year over the weekend approximately 2500 Porsches were present at the Porsche Days Francorchamps. An impressive number, that’s the least one can say. Even though the vast majority of these Porsches are not the more modern cars, there is absolutely no reason the classic Porsche fans should stay away from the event. The Porsche Club Francorchamps makes sure there are Porsches for everyone. This year they had, among others, an original Porsche 550 on display. More historic cars somewhat further in the paddocks where you could admire a 1967 Porsche 911R next to it’s modern brother : a 2016 Porsche 911R. What makes the 1967 Porsche 911R even more unique is the knowledge that this car was used as a spare parts car at the 1967 Monza Speed record. On Sunday, there is always the Porsche parade. The previously mentioned 1967 Porsche 911R and 2016 Porsche 911R at the front of the parade, followed by a long train of Porsches on the track. In total, close to 450 Porsches particapated at the parade. For those who think a Porsche should not be driven in a parade, there were different sessions on the track where you could push the pedal to the metal, and show your driving skills to the visitors. And quite a lot of people took the opportunity to drive their car on the Raidillon and Eau-Rouge….